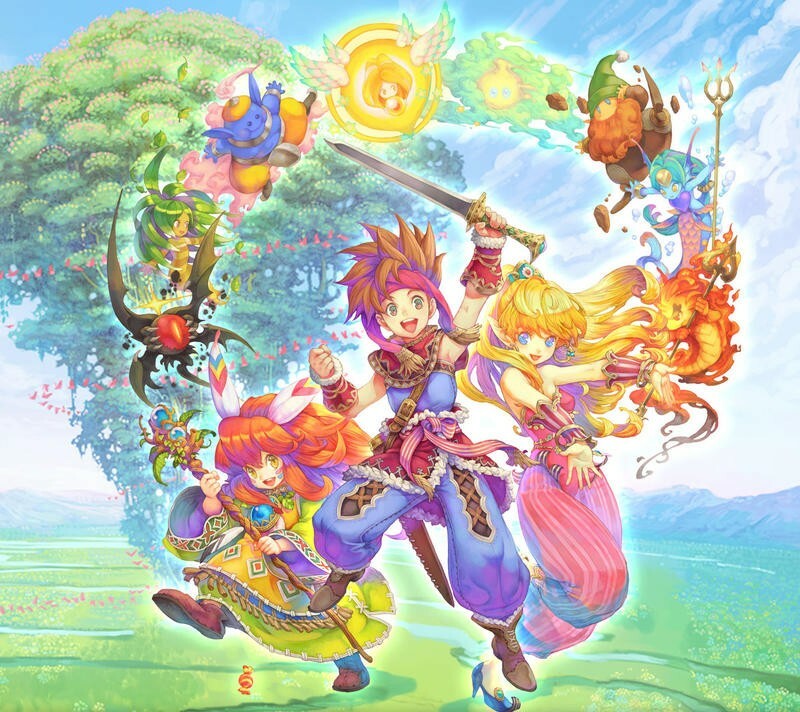 The Seiken Densetsu Collection releases tomorrow for the Nintendo Switch in Japan, and many assumed that its arrival would be the only recognition Square Enix would give the series for its 25th anniversary. Well, guess what. Producer Masaru Oyamada hinted in a recent interview that there could be more in the works. In an interview with Famitsu, Oyamada states that he wants to continue the series' development as a celebration of the series' 25th anniversary. Of course, I would like to announce new developments on the series' 25th anniversary. It's still undecided, but there may be some sort of movement when playing Seiken Densetsu Collection. I want to develop the series more and more from here on. Please support us. All day, every day Oyamada. Lay the Seiken Densetsu on me, I'm ready! However, he's running out of time for an announcement since the 25th anniversary will wrap itself up at the end of June. Final Fantasy Adventure was released on June 28, 1991, and after that date, we officially enter year 26! At another point in his interview, one possibly somewhat controversial, Oyamada says that kids these days only care about screen resolutions. In fact, one reason he chose the Switch as the platform to port the old games to, aside from the easy access to multiplayer, was that he felt parents and their kids could enjoy some good, old-fashioned pixelation together. Today's elementary school students only know the latest high-definition graphic titles. I want parents and children to enjoy the classic Seiksen Densetsu titles together. It is true that the gaming world has a fetish for numbers in the resolution and frame-rate department. There's enough to make a case that the demand for perfect performance is one of the driving forces of the gaming industry. However, this is also the generation that continues to make Minecraft an even larger success that ever before, and screen resolution is the least of their worries when the kids play that game. Indie games are also huge, and plenty of kids love the pixels that they find there. Point is, it's a bit of a generalization to say that kids don't appreciate anything other than the biggest screen resolutions. There are still some that care about elements beyond the specs and numbers of it all.